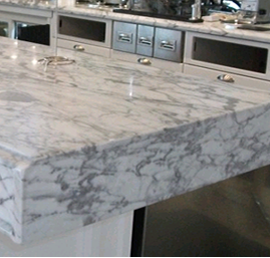 CLEARSTONE protects your fine marble tops from acid etching damage. CLEARSTONE is the worlds first and best coating to protect marble top surfaces from acid-etching and staining. The coating is absolutely clear and natural looking and available in either a polished or honed appearance. This long term solution saves aggravation and restoration costs. 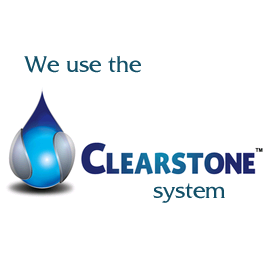 While many leading brand stone sealers offer a similar 10-15 year guarantee against just staining, CLEARSTONE™ offers the same protection against staining and the more problematic acid-etching, the number one reason for restoration. 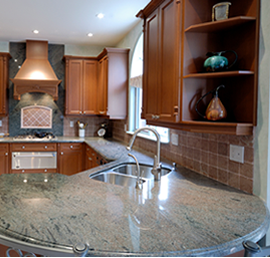 Recommended care and maintenance tips and products for your natural stone. 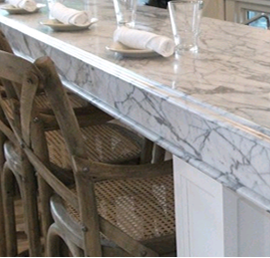 Caring for your treated marble and all other natural stone surfaces is simple. See our recommended stone care tips and products and follow some basic principles to keep it looking beautiful and like-new for a lifetime. 15 Year Warranty* against acid-etching and staining. Follow some reasonable care instructions and your marble is warranted to be protected from acid etching and staining for 15 years. For certain situations, like restaurants, bars, and more, this can mean a huge reduction in restoration costs.